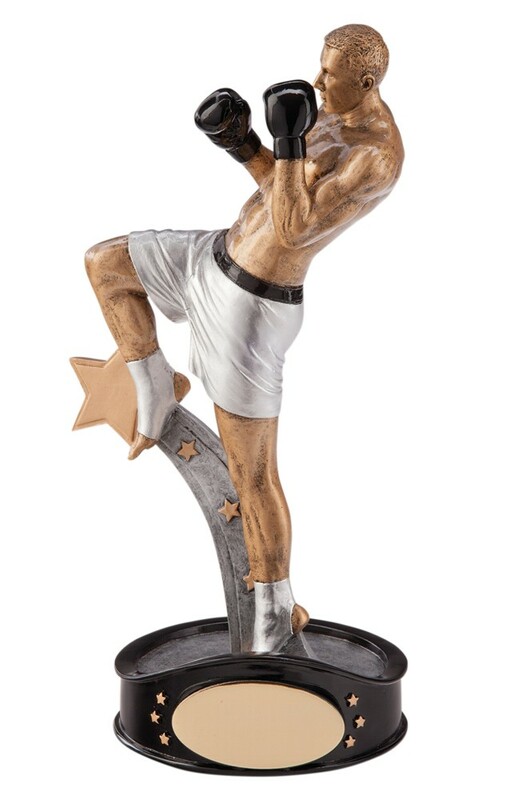 Resin Ultimate Kick Boxer Award. Measuring 245mm high. Antique gold with silver shorts, silver foot pads and black highlights mounted on a black custom belt base.